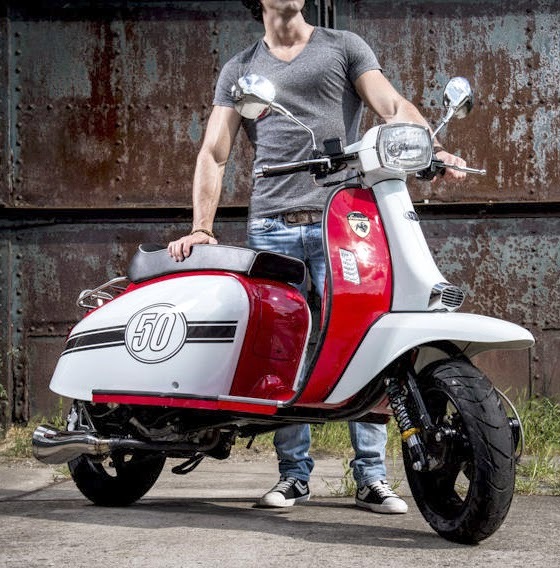 Scomadi scooters: bringing retro styling to modern scootering! 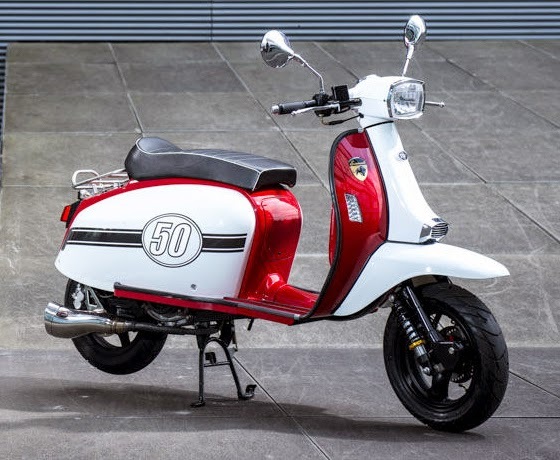 So, Scomadi Scooters have done what people have been clamoring for for many years: bringing modern scooter technology to a "real" retro styled scooter (not something George-Jetson-esque, calling it retro). 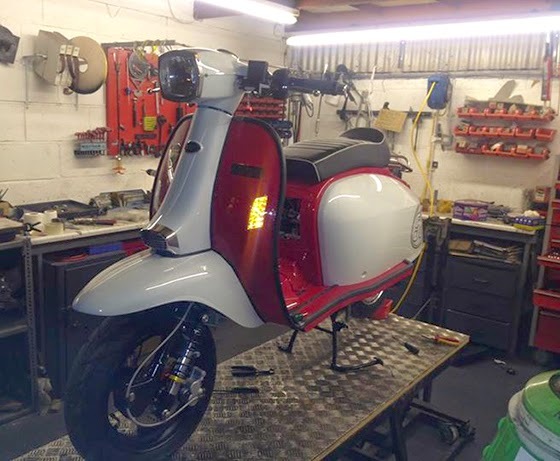 They have basically taken the body of a GP Lambretta, and put in all the mechanics of a modern scooter, including double shock forks, disc brakes, and a powerful 4-stroke engine. 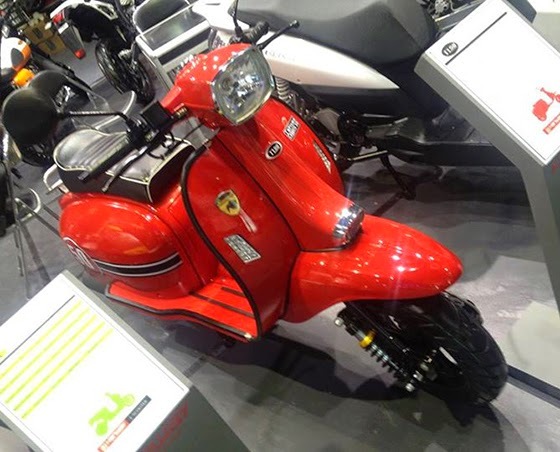 The new scooters will be sold in 50cc, 125cc and 300cc versions! 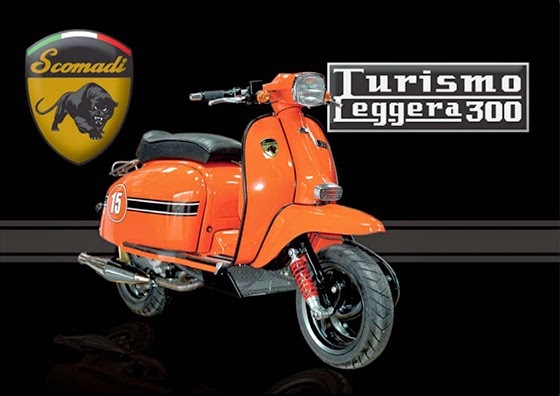 This is directly from the Scomadi website: "The Turismo Leggera range represents the culmination of 10 years of prototype development. 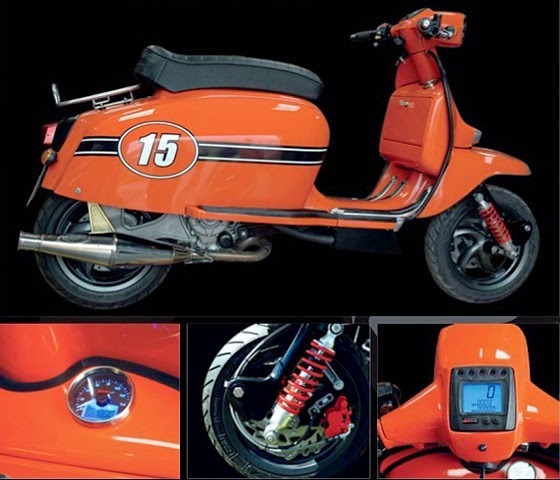 Utilizing the experience of PM Tuning Racing Products & Scooter Innovation, Scomadi are aimed at providing a new era in scootering for followers of iconic Italian design. With styling cues taken from the Grand Prix model the goal was to create a “Modern Classic”. A machine that allows the true enthusiast to retain classic styling without sacrificing reliability or modern day functionality. 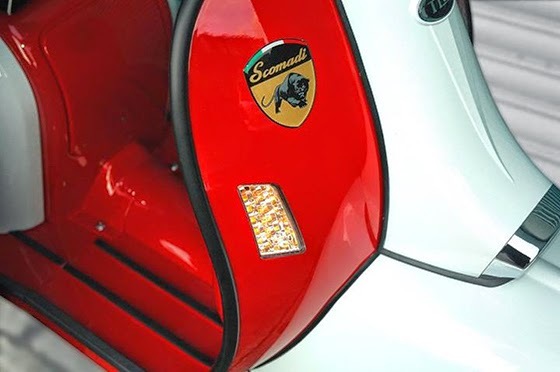 The demand has grown since the original concept small volume models sold, with the latest mass production series of Scomadi’s being presented today. 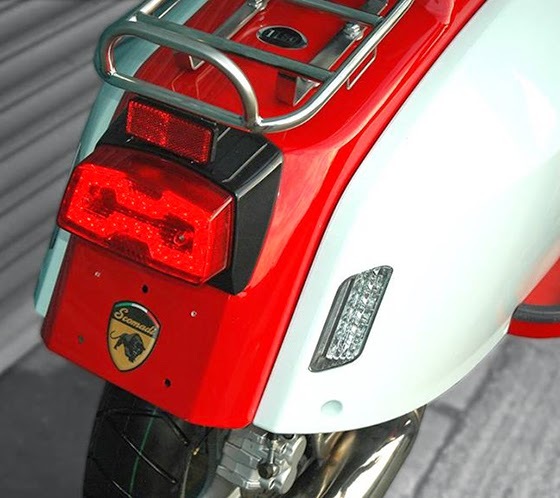 The Turismo Leggera range will present a dynamic package for the discerning scooterist. 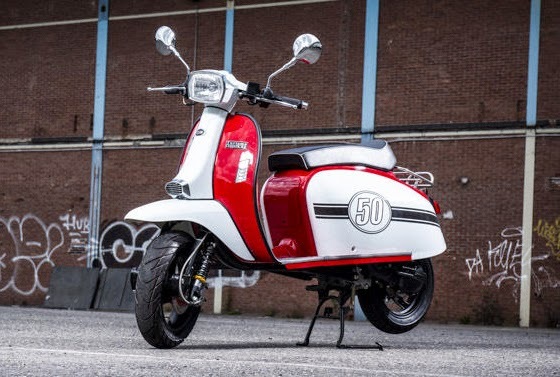 First model to land on our shores will be the 50cc 4 stroke air cooled engine model, followed by the 125cc with a flagship model 300cc due for Spring 2015.The Scomadi TL300 will be equipped with the “class leading" italian 300cc, 4 valve, liquid cooled,fuel injected engine. One of the lightest, most compact, and powerful 300cc motors on the market. 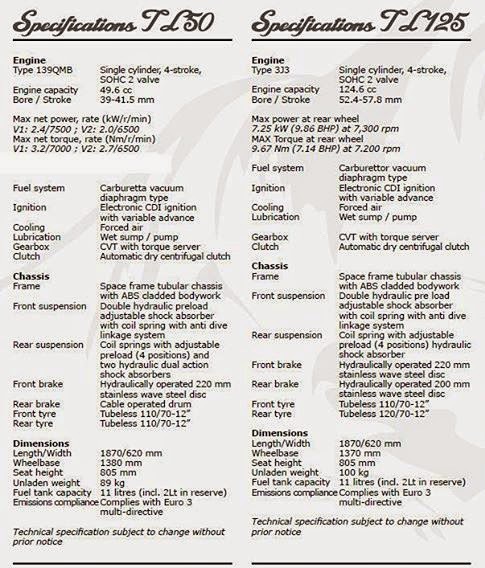 Powered by 22HP at 7,500 rpm. The TL300 ensures top performance in terms of speed and acceleration with reliability. 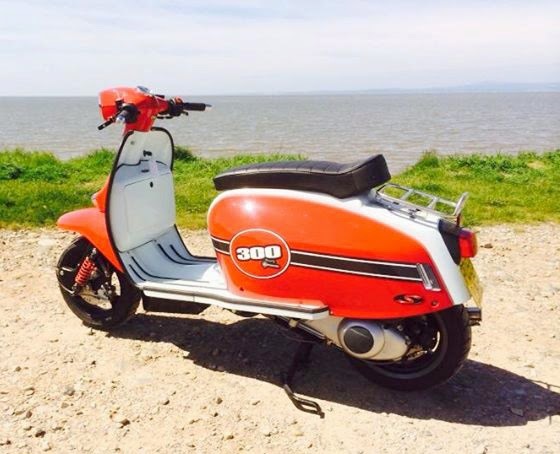 PRICING: 50cc model £1995 (in the region of), 125cc model £2495 (in the region of), 300cc model to be confirmed but can expected to be £4495 (in the region of)." 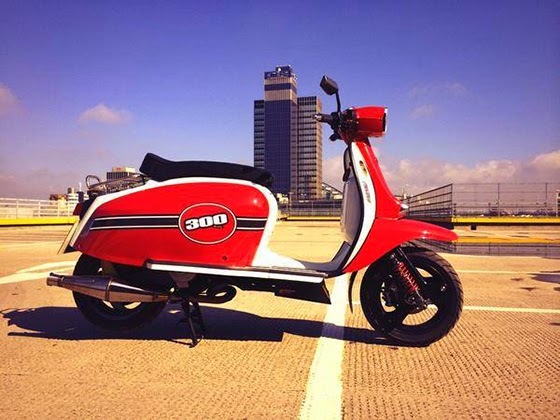 More pics coming from their first production run of the 50cc's! 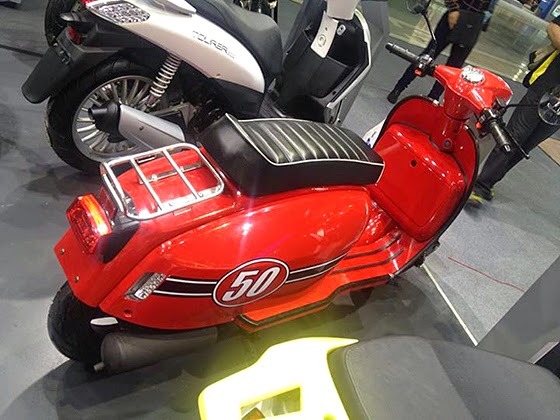 The new Django scooter will be hitting Peugeot dealers this year and there will be four models of the 125cc four-stroke motor to choose from: Heritage, Sport, Evasion and Allure. Peugeot Django Heritage, pictured above. 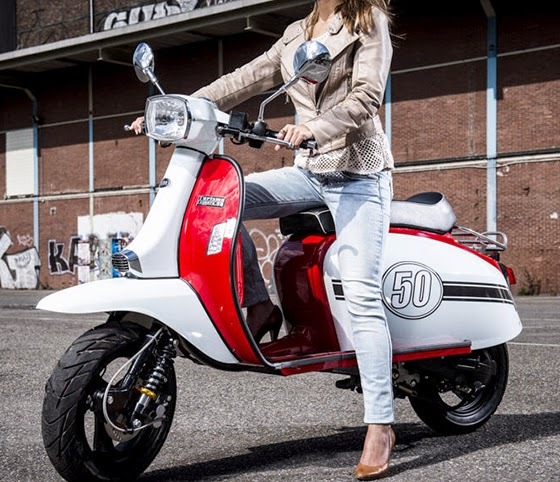 Inspired by Peugeot’s S55/S57 scooter of the 1950s, the new two-wheeler from the French manufacturer features rounded rear wings, long flowing body work to hark back to the golden era of retro styling. 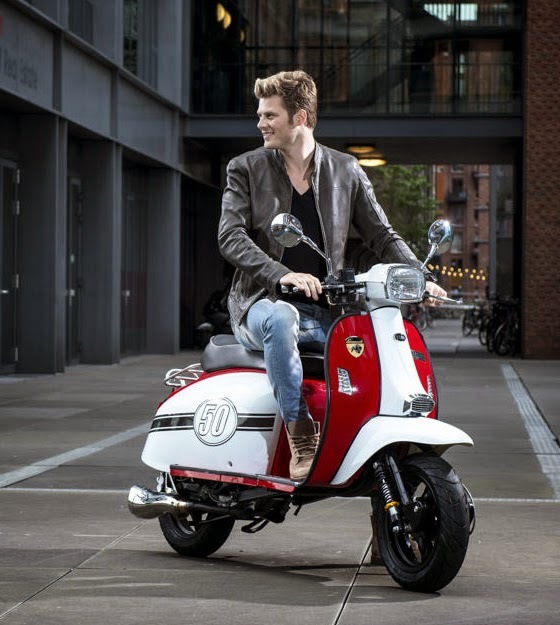 However, the new scooters benefit from the technology of today and include 200mm diameter disc brakes on the front and rear, as well as SBC – Synchro Braking Control – which works to distribute braking effort simultaneously to both wheels. 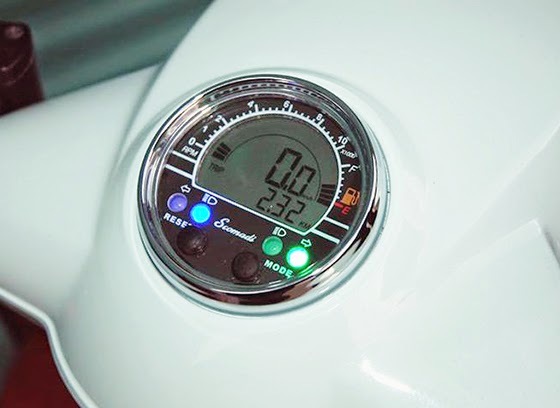 The front and rear indicators, rear light and running lights are all powered by LED bulbs too. The Heritage is available in four colour options – black, white and paste shades of blue and green. It features chrome mirrors and white wheels. The Sport version comes in silver or blue with grey wheel rims and sports number stickers on the front and rear. The sport dual seat has a removable passenger seat shell and chrome handgrip. The Evasion is available in two-tone pistachio, red, blue or orange. The wheel rims are white and have white-wall tyres. 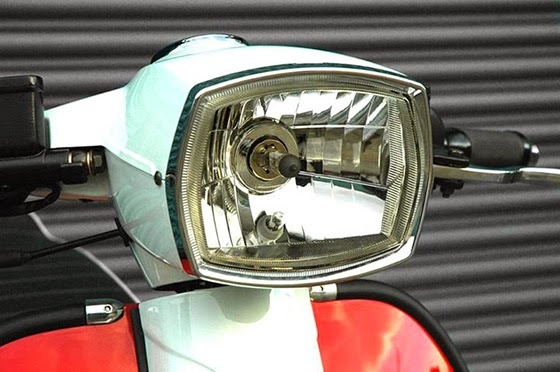 The painted rear-view mirrors have a chrome surround and the fly screen and chrome front luggage rack come as standard. The top of the range Allure, features two-tone body work in a choice of blackcurrant, silver, white or grey. It has grey wheel trims, white-wall tyres and a three-tone dual seat. 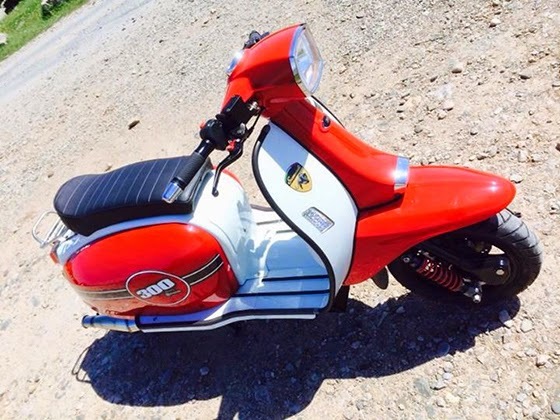 This scooter features a colour-match top case, passenger back-rest and chrome rear luggage rack as standard equipment as well a fly screen and painted mirrors with a chrome surround.